Since XM and Sirius radio have linked up with different auto makers I’ve decided to see what the fuss is all about. 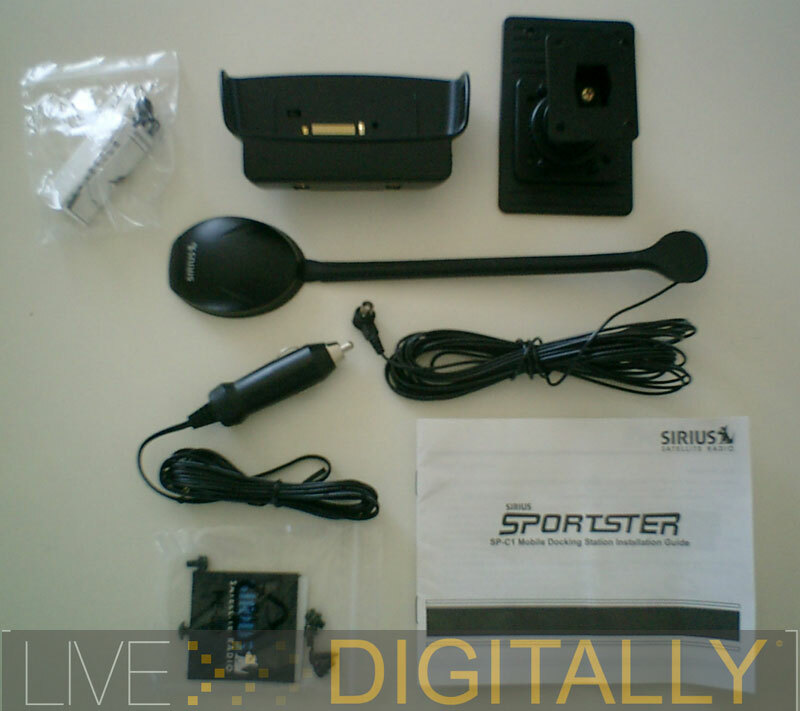 Monday at 3:20pm I whipped out the Sirius Radio Sportster along with the ‘Car Docking Station With Car Antenna’ (CDSWCA) for installation into my Honda. I’ve installed stereos and amplifiers in cars before. I didn’t call upon any of the acute skills acquired when installing car audio systems for the Sirius CDSWCA easy install. Sirius Holster, External Antenna, Cigarette Lighter Adapter, Mounting Arm, Alcohol Swabs, 6 Screws, an FM Out Antenna, and Instruction Manual. 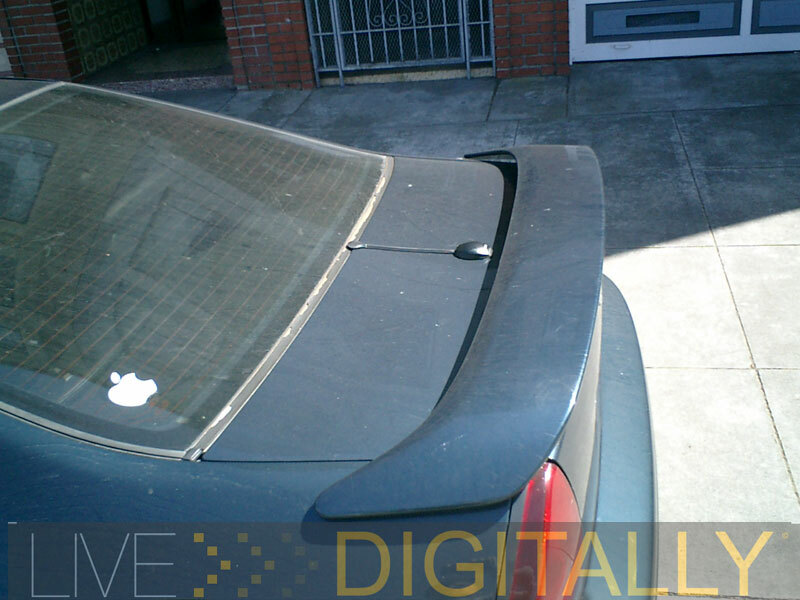 After a thorough read through the small instruction manual that accompanied the CDSWCA I started to mount the external antenna to the outside of my car. 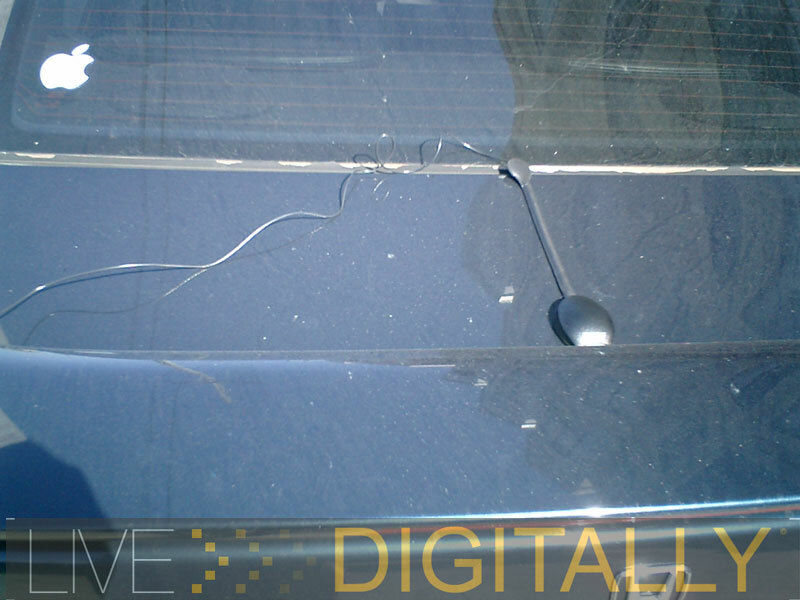 The antenna comes with bottom side adhesive, as well as a nice strong magnet to keep the channel grabber secured to your vehicle’s external shell. I opted to mount it on the trunk and hide the wire up through to the center console. Next up, where to mount the holster? Since this is not a permanent install on my vehicle, I attempted to find a would-be permanent spot on the dash for informational purposes. The mounting arm has 4 degrees of freedom, allowing the holster to be placed on most surfaces at almost any angle. Adhesive accompanies 2 screw holes for dash fastening purposes. I decided that the cup holder would make a comfy temporary home for my temporary Sirius radio. 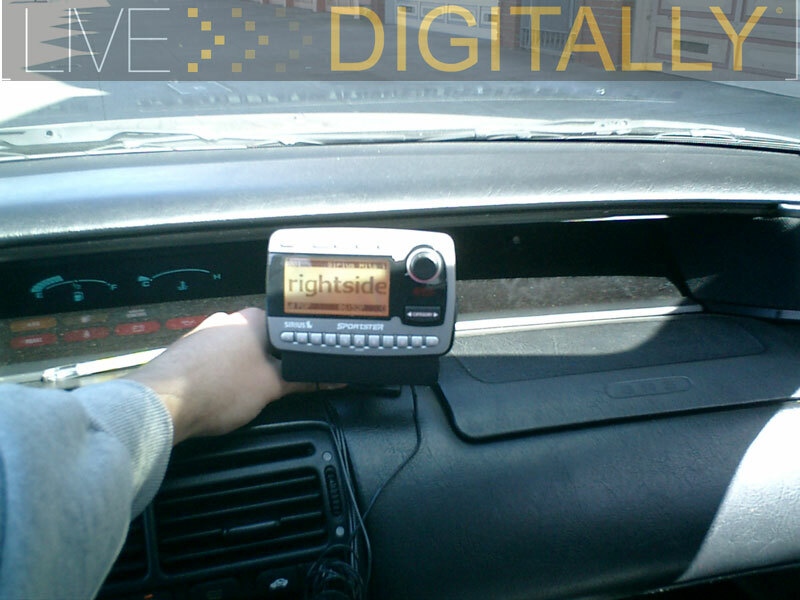 There are two ways to connect the Sirius radio to your car stereo: FM transmit, and line out. 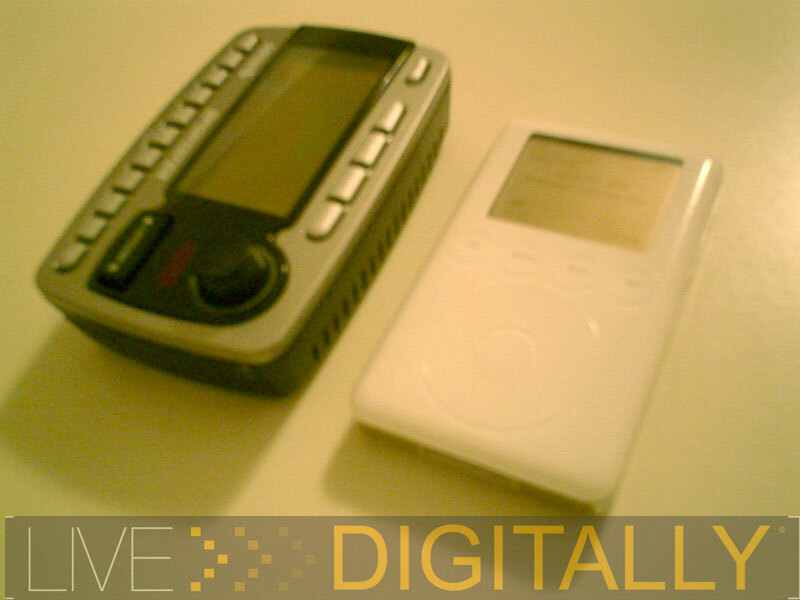 The FM transmitter emits a signal for your car’s FM stereo to pick up and playback as it does with radio stations (the popular iTrip does this exclusively for iPods). This method requires finding a frequency that is open and tuning both your car stereo and the Sirius radio to that same frequency. 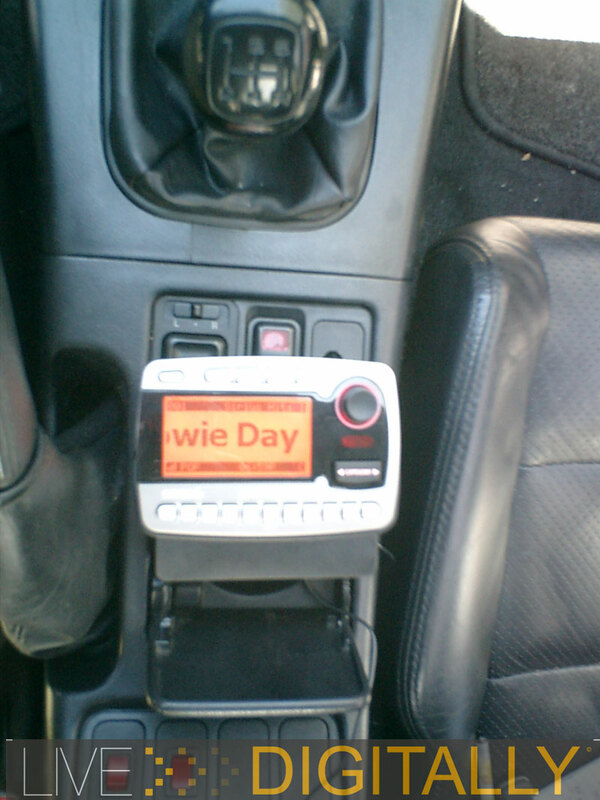 The line in feature requires an auxiliary input built into the car stereo itself. My Factory car stereo comes equipped with the option to add an external CD changer. P.I.E. makes an adapter that turns the CD changer input on my stock stereo into an auxiliary input. I connected the line out on the Sirius Radio to the P.I.E. adapter which leads into my car stereo and two of my three connections were in place. What’s left you ask? Power. Connecting the cigarette lighter style power cable yielded a warm amber glow on the Sirius screen with scrolling text and a doggy with an antenna tail (Sirius Logo). Within about 10 mins of use the audio from the Sirius stopped. Silence fell over my car and I had no idea what I did to kill the sound. After surfing a few channels with only blurbs of audio I decided that we needed a reboot. Unplugging the power and re plugging remedied my anti audio issue and I was commenced rocking out to Disney Radio. 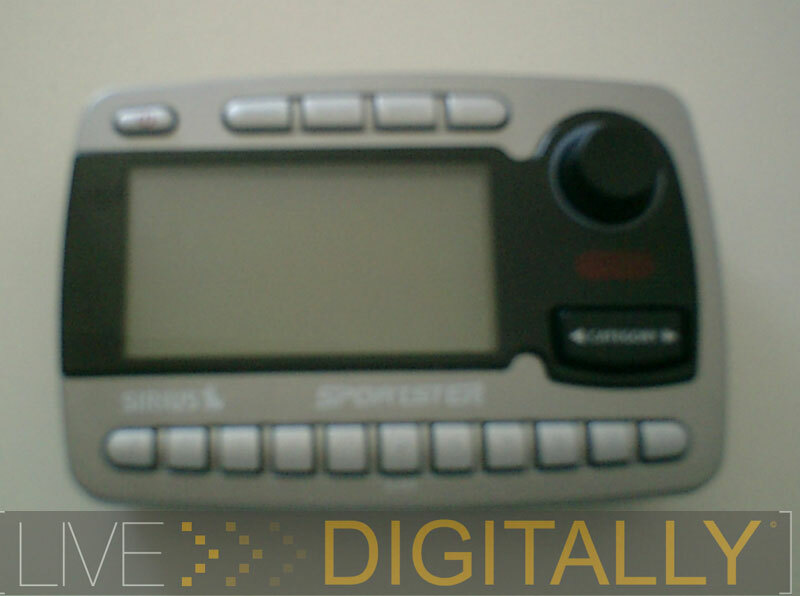 I will try the Sirius Radio with the Line In feature as well as with the FM Transmitting feature for a proper feel on how the two compare to each other. More to come! Stay tuned folks. Same Bat time, same Bat channel, same Bat URL, not the same Bat corny ending.